This British Army infantry unit recruited in the south-west of Ireland. Created in 1881 by the amalgamation of two former East India Company regiments, it was disbanded in 1922 on the establishment of the Irish Free State. The regiment was established during the British Army reforms of 1881 by merging two former fusilier regiments of the East India Company - the 101st and 104th Regiments of Foot. Each formed one of the new unit’s two regular battalions. It became the local regiment for Clare, Cork, Kerry and Limerick; four of the counties in the Irish province of Munster. 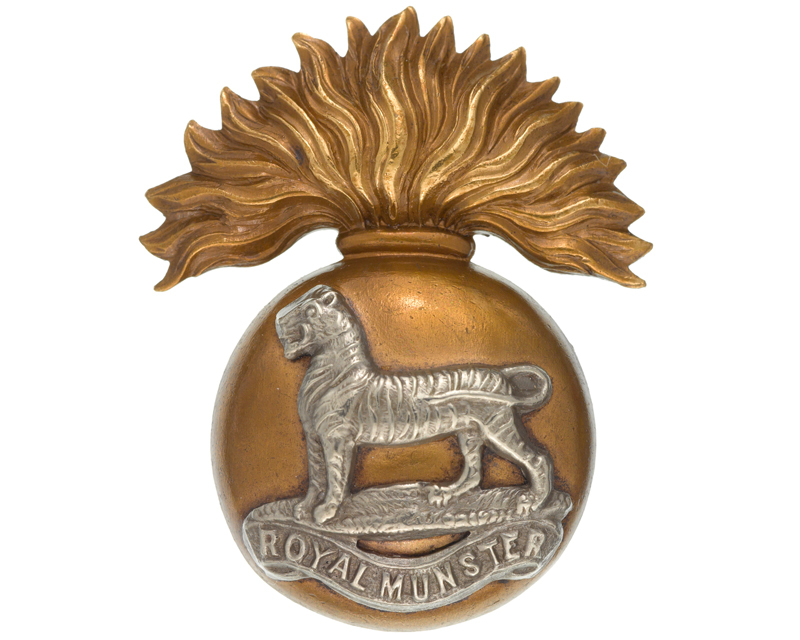 What animal is depicted on the badge of the Royal Munster Fusiliers? The Munster cap badge bears a Bengal tiger in honour of the regiment's Indian origins as the 1st Bengal European Regiment of the East India Company's army. 1st Battalion was in Canada at the time of amalgamation. It sailed for Wales two years later, remaining in the British Isles until 1899 when it deployed to South Africa. 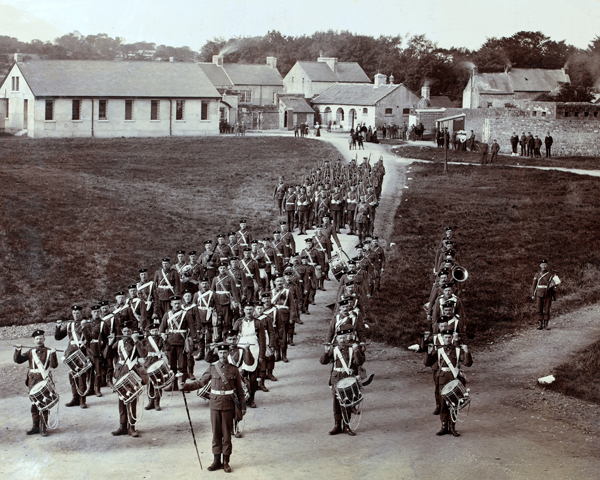 2nd Battalion was in Ireland, moving on to Malta in 1882 then India in 1884. It stayed there until 1901, with the exception of two years in Burma from 1886. 1st Battalion spent the whole of the Boer War (1899-1902) in South Africa, before beginning a 12-year term in India and Burma in 1902. 2nd Battalion was only moved to Natal in December 1901, then Ireland in 1902 and England in 1909. 1st Battalion was in India on the outbreak of the First World War in 1914, but arrived in England in January 1915. It then set sail again for Gallipoli two months later. 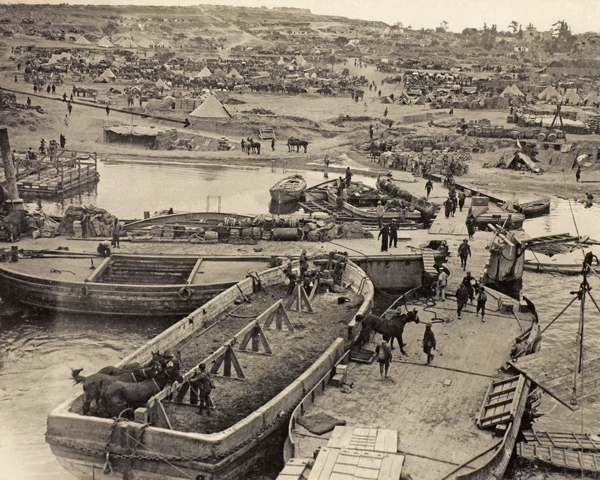 After landing at Cape Helles on 25 April, it suffered such heavy casualties in the subsequent fighting that it had to be merged with 1st Battalion, The Royal Dublin Fusiliers, to form a composite unit known as the ‘Dubsters’. It was finally evacuated to Egypt in January 1916 and reconstituted before being moved to the Western Front, where it remained until the end of the war. 2nd Battalion landed in France 10 days after the declaration of war and stayed on the Western Front throughout the conflict. 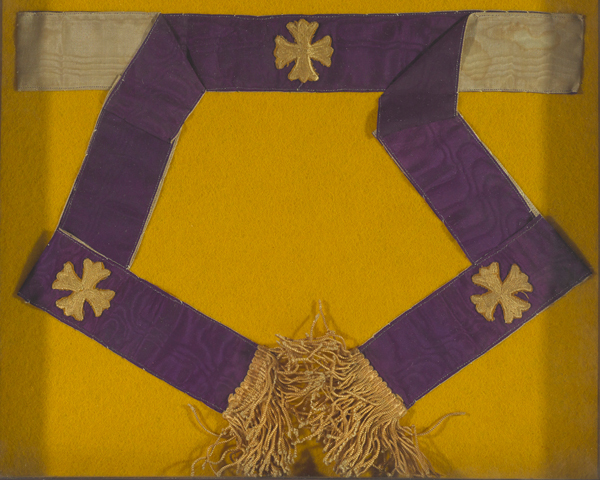 It suffered heavy casualties at Etreux in September 1914, where all its officers were killed or wounded and its chaplain, Father Francis Gleeson, had to take over command of the battalion. It was badly mauled again during the German Spring Offensive in April 1918. The regiment raised nine additional battalions during the war, serving in Britain, Ireland, France, Salonika and Palestine. Both regular battalions moved in 1919; 1st Battalion to occupation duties in Germany, and 2nd Battalion to Egypt. 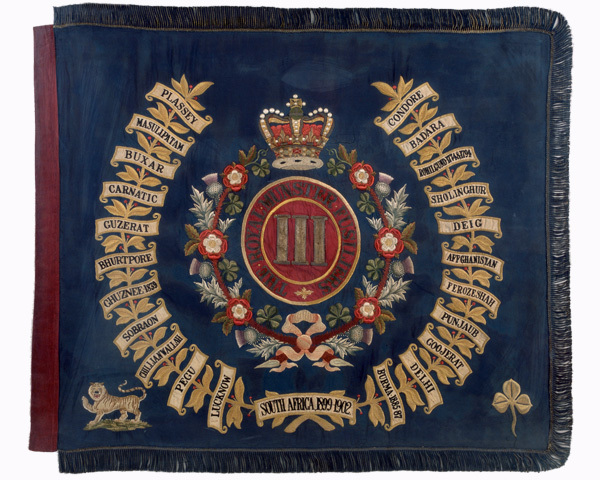 The Royal Munster Fusiliers was disbanded in 1922 on the establishment of the Irish Free State. It is estimated that half of the Irish National Army, formed in 1923, were former members of the Munsters. Search the enlistment books of The Royal Munster Fusiliers and the other Irish regiments disbanded from the British Army in 1922. This regiment became part of the British Army in 1862. But its origins date back to the 17th century, when the East India Company first established units of European troops. This infantry regiment became part of the British Army in 1862. Prior to this, it had served for over a century with the East India Company's army.